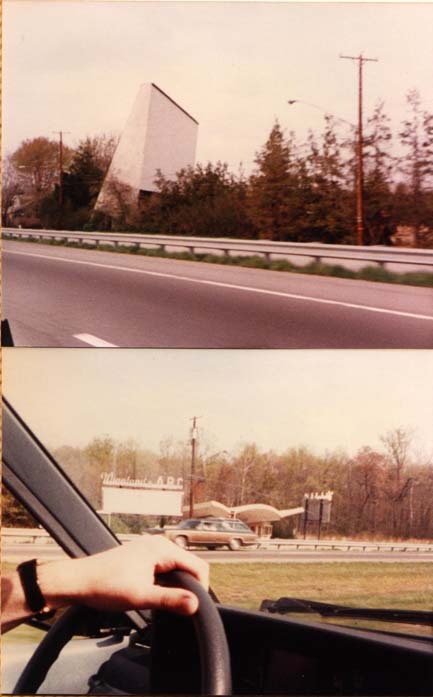 8500 Indian Head Highway, Oxon Hill, Md. 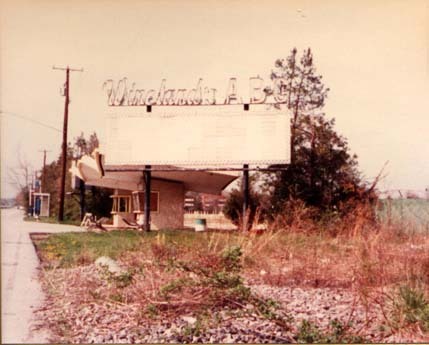 Independently owned at first, it was bought by the Wineland circuit in 1955 as their first entry into the drive-in market. It was consistently at or near the top in Washington-area popularity, and enjoyed a reputation for one of the better snack bars in the area. 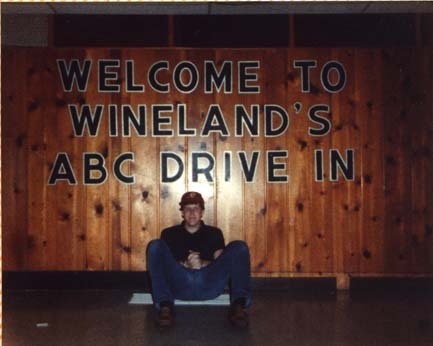 Remembered for its 30-year-plus tradition of starting each night's show with a cartoon, a practice adopted by the other Wineland drive-ins as well. Plans in the mid-'80s to expand to three screens fell through, alas. Interior of the snack bar. 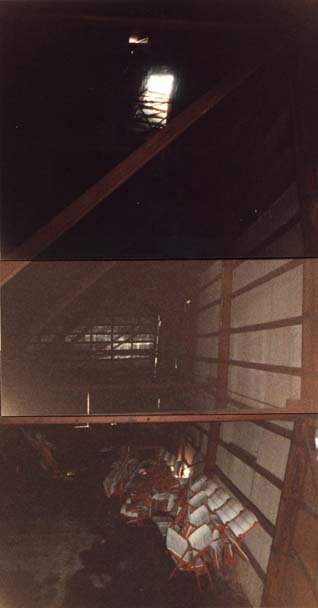 How many times have you gotten to see the view from INSIDE a drive-in screen?! 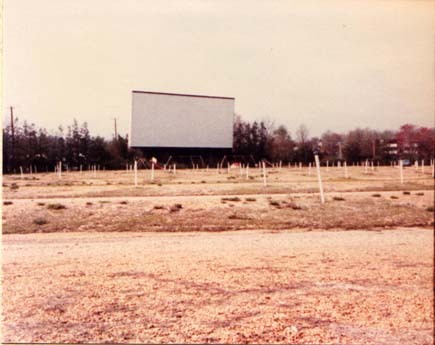 Click here for a panoramic, "Cinerama" view of the drive-in lot, from 1982. Hard to say goodbye: the view of the screen while exiting the ABC. 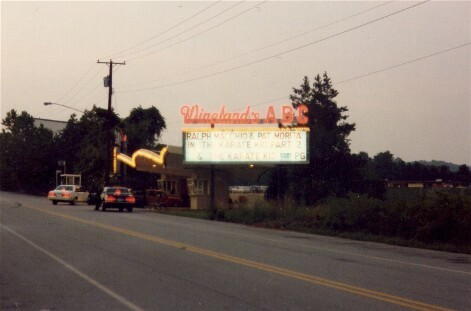 A 1985 view of cars pulling into the ABC boxoffice at dusk, courtesy of Greg Laxton. 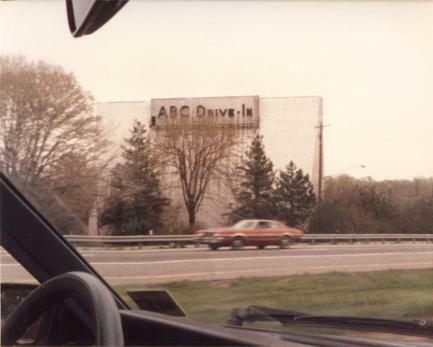 Click here for an interactive 1980 aerial photo of the ABC (zoom in or out, or compare to older or newer photos of the same site). 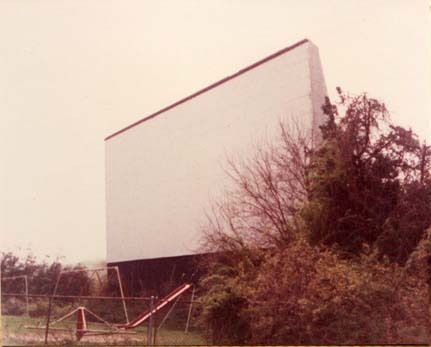 Click here to see the 1979 USGS map of the drive-in and surrounding area.